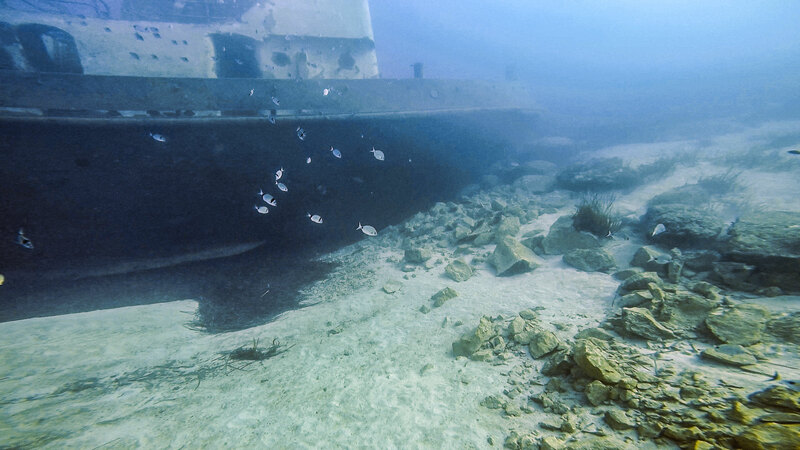 Tug Boat 2 is most recent wreck around the Maltese islands, located off shore Exiles in Sliema, northeastern Malta. Tug 2 was a former tugboat working in Grand Harbour of Valletta. She was scuttled in June 2013 to form an artificial reef and an attraction for both scuba and free diving. Tug 2 lies upright approximately 250 m north from the dive's entry point at a depth of 22 m. She was originally sunk on the sand parallel to the reef some 20 m distance, but a storm moved her in October 2016, and the wreck is now crashed into the reef bow first. Tug 2 wreck is 30 m in length and 9.5 m height without the mast. It is safe to penetrate this open wreck, swim through the wheelhouse and the engine room still has lots to interest a diver despite that anything which could damage the marine environment was removed. Tug Boat 2 is a nice wreck dive for all levels, especially since it can be combined with a dive to Exiles reef and is easily dived from the shore. 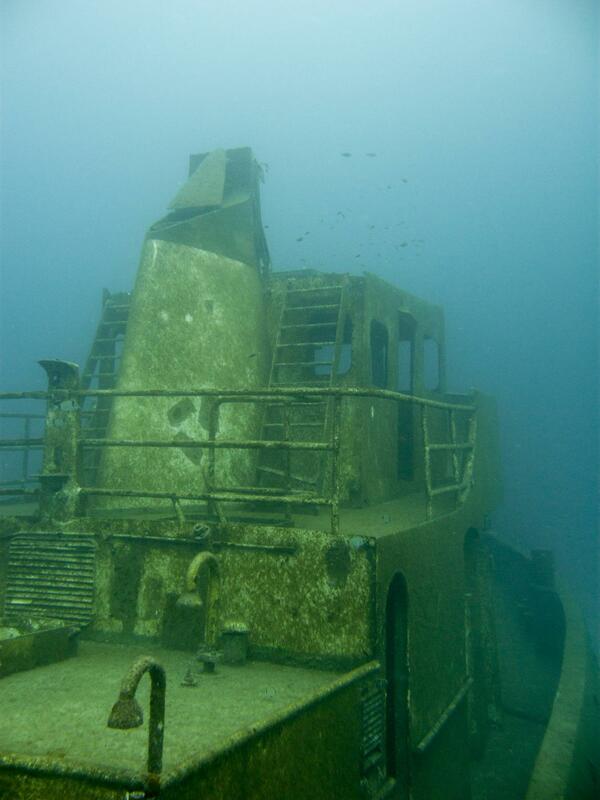 Tug 2 is one of the few shallow wreck dives in Malta, suitable for PADI OWD or equivalent. Other shallow wrecks are HMS Maori off Valletta and X127/Carolita off Manoel Island, both in Marsamxett Harbour, and tugboats 10 and St. Michael off Zonqor Point in Marsaskala. 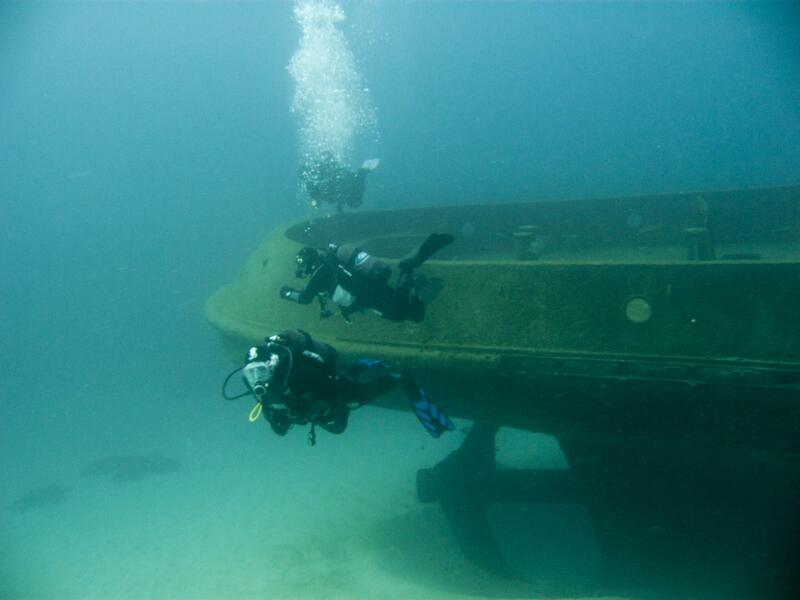 Tug 2 is a great place for night wreck diving, and also makes a good training dive for navigation and dive leading. When diving in Exiles, beware of the boat traffic, especially during summer weekends. There are yellow marker buoys for the wreck and the reef, but not all boats stay outside these markers, and they might be removed from the sea for the winter months. Then a DSMB is a must, and at other times it is advisable. There is an underwater geocache on Tug 2 wreck: Malta Dive Sites - Tug 2. Another scuba diving cache is on Rozi wreck in Cirkewwa. Tug Boat 2 was built by Malta Drydocks in 1975 for the Chinese Government. The tugboat had gross weight of 141 tons, and was 30 m in length with a beam of 7.5 m and a height of 15.24 m including mast. Her original name was Tuo Lun Er Hao and she was registered in Tientsin in China, but spent all her working life in Malta. Tuo Lun Er Hao and her sister tugboat Tuo Lun Yi Hao worked together on building Dock No. 6, known as the China Dock project, in French Creek of Grand Harbour of Valletta, partially financed by the Chinese government. The tugboats originally had their Chinese names on the bows, but soon became known as tug number one and tug number two. Later these numbers were painted on the sides of the bridge, and when the tugs were devolved to Maltese Kalaxlokk Co. Ltd, they were officially renamed Tug Boat 1 and Tug Boat 2. The latter was decommissioned after about 10 years in operation, and in 2000 purchased by Bezzina Marine Services Ltd. and docked at Bezzina Shipyard for 13 years. 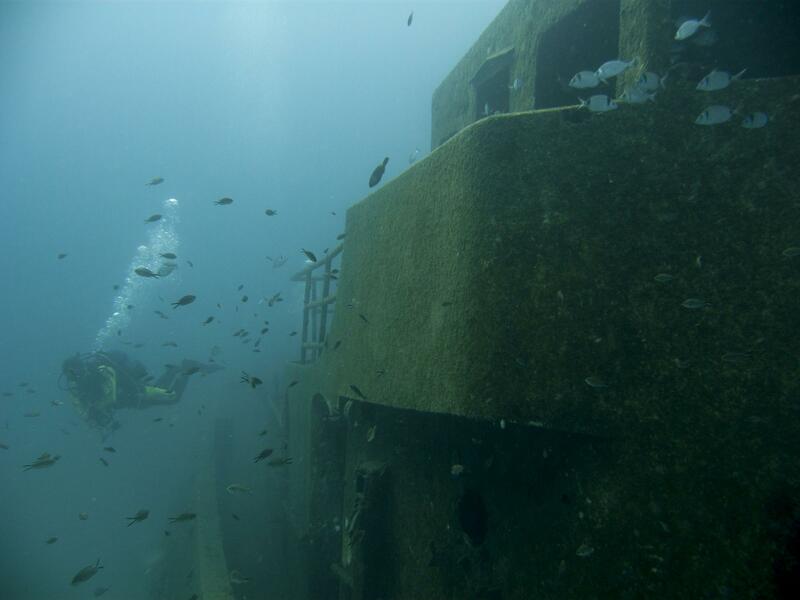 Professional Diving Schools Association (PDSA) and Malta Tourism Authority (MTA) launched a project to scuttle Tug 2 as an artificial reef and a diving attraction off Exiles coast in Sliema. Before scuttling the vessel was thoroughly cleaned and prepared to make her both environmentally safe and diver friendly. The scuttling was planned to happen in May 2013, but due to bad weather it was postponed to June, and Tug Boat 2 was finally scuttled on the morning of 20th June 2013 (watch video). Her sister ship Tug Boat 1, now named Anni, was still working in 2013 and was present at the scuttling. Tug 2 was sunk onto the sandy seabed at a depth of 22 m, around 250 m off Exiles shoreline and 400 m from Portomaso breakwater. The wreck was sitting in an upright position, parallel and some 20 m in distance from the closest point to the reef. Three years later, on the weekend 29-30th October 2016, Maltese islands were hit by a tropical storm, which formed as a result of an exceptionally warm Mediterranean Sea, the water temperature being around 5 to 6 degrees above average. The storm moved Tug 2 wreck some 30 m east and turned her 90 degrees clockwise. Her bow is now crashed into the reef but otherwise she is intact. ★★★★★ Beautiful wreck, easy swim from Exiles and relatively shallow but must bring a buoy because there are many boats passing. Lovely schools of fish and great swim throughs on the boat! ★★★★☆ Similar wreck than Cirkewwa's Rozy, but freshly sank.